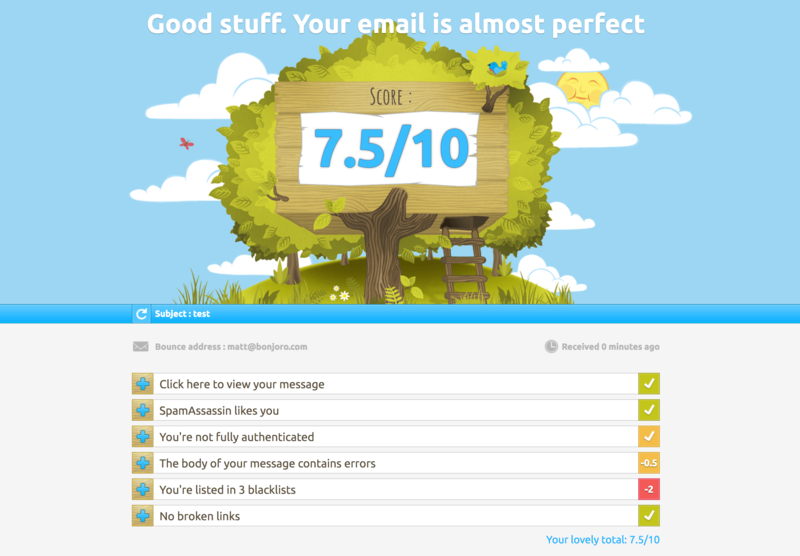 The world of email deliverability is a complex beast - luckily the folks over at Mail Tester have made this nice and easy to navigate. Its healthy to give your Company emails a vetting every few months, just to check you're getting maximum deliverability, not just for your Bonjoros but for all email and mail campaigns. NOTE: Again, try connecting and verifying your BUSINESS DOMAIN. You have complete control over the rating of your own domains, whereas Microsoft or even Gmail addresses are dependant on shared servers and are usually not as strong.